wp_admin has been a member since May 26th 2013, and has created 8 posts from scratch. Baja California Sur which means “Lower California South” is the second smallest Mexican state by population. Baja California Sur is just one of over 60 official online guides covering the whole of Mexico. If you´re planning a trip to Mexico and would like discover our fabulous nation before visiting or, if you´d like to visit a specific place in Mexico, then you´ve come to the right place. Before becoming a state on October 8, 1974, the area was better known as the Southern Territory of Baja California. 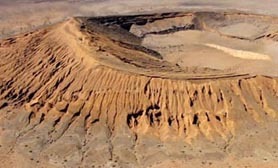 It has an area of 73,475 km2 (28,369 sq mi), which occupies the southern half of the Baja California peninsula. It is bordered to the north by the state of Baja California and, to the west by the Pacific Ocean then to the east by the Gulf of California. The state has also shares maritime borders with Sonora and Sinaloa to the east from across the Gulf of California. The population of Baja California Sur is approximately 650,000 (2013). Baja California Sur is home to the popular tourist destinations of Cabo San Lucas and San José del Cabo. 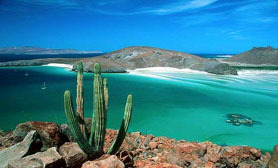 Baja California Sur is one of Mexico´s most popular places, visited by millions of people over the last decade. When you travel to Baja California Sur you may wish to check out the Baja California Sur hotels we have available or maybe you´d like to rent a car in Baja California Sur? We also offer extensive day trips in Baja California Sur. This unique place has simply amazing. We´ve also compiled a list of Travel books on Baja California Sur Mexico. The capital city is La Paz which is also a tourist resort with many historic landmarks. Baja California Sur is also home to the city of Loreto, the historic first capital of all three Californias Baja California Sur, Baja California, and California (USA), also worth a visit is the town of Santa Rosalía which is the location of a historic church designed by Gustave Eiffel of the Paris Eiffel Tower fame. 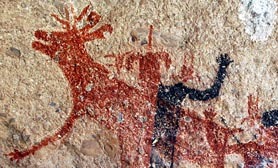 Up to 4 tribes were encountered in Baja California Sur by the early explorers, the Guaycura from La Paz to south of Loreto, the Pericú in the south, between Cabo San Lucas and La Paz, and also on several of the islands in the Gulf the Monqui, in the area around Loreto and the Cochimí, in various areas throughout the middle of the peninsula. 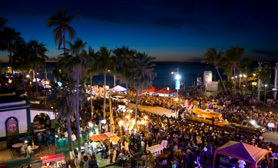 Whether you are visiting Baja California Sur in Mexico for business, pleasure or both, we´re sure that Baja California Sur will meet all of your expectations and that the people of Baja California Sur will make you feel welcome while sampling some of the unique cuisine on offer in the Baja California Sur Restaurant districts. Posted in All About Baja California Sur | Comments Off on Welcome to Baja California Sur in Mexico! The state of Baja California Sur is characterized by deserts, mountains and coastal flatlands. The weather is arid in most parts of the state, with the southern regions being tropical. Flora such as cardon, mezquite and wild-lettuce and, fauna such as mountain lions can be found in the ecosystem of the Central and Vizcaino Deserts of Baja California Sur. The Natural Reserve and Biosphere of El Vizcaíno, covering 25,000 square kilometres (9,700 sq mi), is the biggest natural reserve in Latin America. It is located in the municipality of Mulegé and starts from the west end of the Vizcaíno Peninsula and the San Ignacio and Ojo de Liebre lagoons, traversing the San Francisco Sierra, to the coasts of the Gulf of California and the Gulf of California islands. Baja California Sur is most recognized for its natural features like the Vizcaíno Desert and tiny coastal lakes of San Ignacio and Ojo de Liebre in the north which are protected under decree of the federal government. Baja California Sur also includes the Pacific islands of Magdalena, Natividad, and Santa Margarita, as well as the numerous small islands and islets of Coronados, San Marcos, Carmen, Montserrat, Santa Catalina, Santa Cruz, San Diego, San José, San Francisco, Partida, Espíritu Santo, and Cerralvo, all located in the Gulf of California. There are a few islands called Rocas Alijos which are uninhabited volcanic islets found offshore. La Paz can be reached by following the main road southbound until you reach, the peaceful, modern capital of Baja California Sur, with beautiful beaches and some charming colonial buildings and flower-filled patios dating back to its foundation in the early 19th century. La Paz’ pre-Lent carnival with dancing, games and a colorful street parade has become one of Mexico’s finest carnival experiences. Whale Watching is popular from the end of December through March, great grey whales traverse this area en route from Siberian and Alaskan waters where they swim 6,000 to 10,000 km searching the warm waters of Baja’s lagoons to raise their calves and give birth for 3 months before starting their long voyage back to their ripe feeding grounds in colder waters. 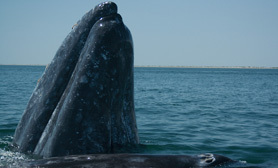 The gray whale is seen here every year to carry out its mating ritual and to give birth to their offspring. It is a magnificent natural show that attracts travelers from all over the world. This region boasts mountains, deserts and thousands of kilometers of coast to explore, dive or swim in. For those that prefer fishing, Baja California Sur is one of the best areas for deep sea fishing in the world. Tourists can also enjoy the local art crafts as well as their rich culinary tradition. The gateway to one of Baja’s main whale watching areas is San Ignacio, the Laguna San Ignacio south of Vizcaíno Peninsula, also the Laguna Ojo de Liebre, better known as Scammon’s Lagoon to the south of Guerrero Norte and Puerto López Mateos near Isla Magdalena, Puerto San Carlos in the Bahia Magdalena are also popular Whale Watching destinations. This vast desert of Baja California Sur is home to the Reserva de la Biósfera El Vizcaíno, Latin America’s largest protected area with an extension of 15 534 miles² (25,000 km²) which stretches from the Vizcaíno Peninsula on the Pacific across to the Sea of Cortez. At the center of this nature reserve, the Sierra de San Francisco is a Unesco World Heritage Site, awarded for the spectacular pre-hispanic rock paintings in some of its caves. San Ignacio is a small town in Baja California Sur but a good starting point for trips to the sierra and here you can also see Baja’s 18th century Dominican mission church.